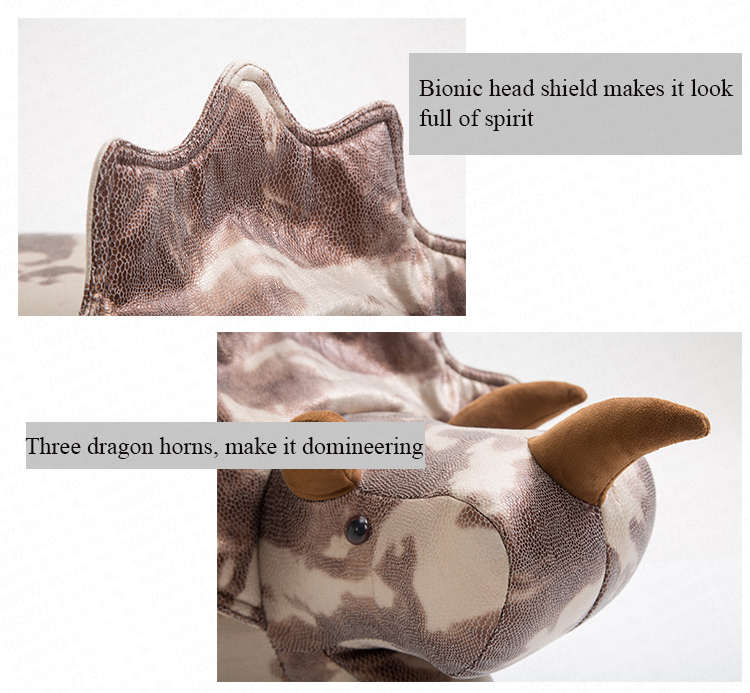 Upgrade your seats with the Prehistoric perfection! 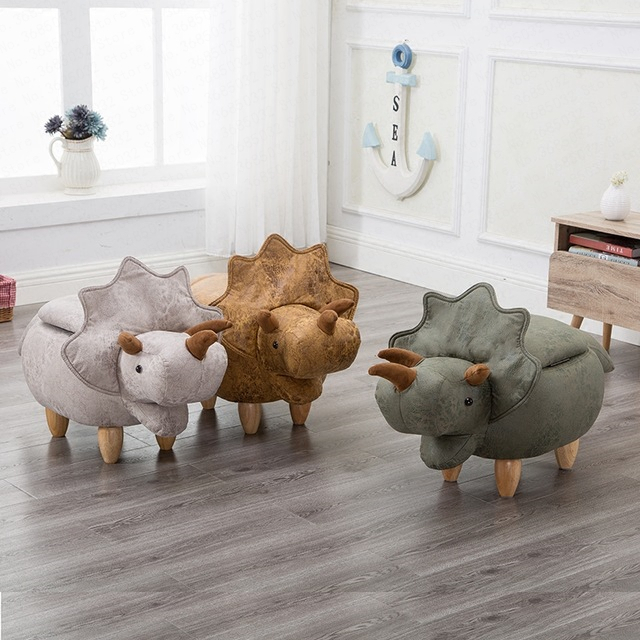 Decorate a kids room, playroom or even an apartment with the Triceratops inspired DinoStool™﻿﻿. 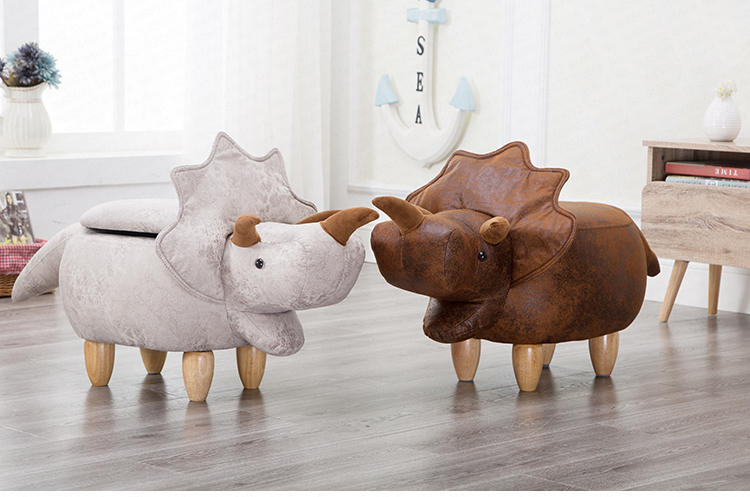 Kids love their charming faces and adults enjoy this whimsical addition to an apartment or family room. Place a tray on top to use as a side table, or rest your feet upon their backs. 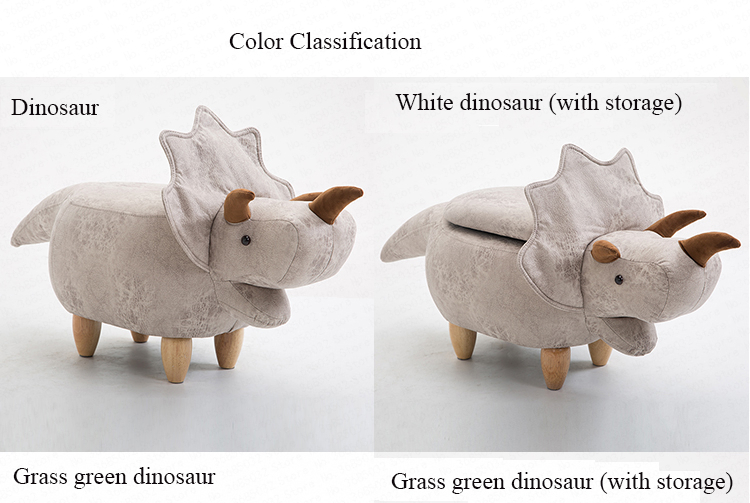 Super Comfortable: DinoStool has a plush padded top - perfect for kids’ imaginary rides through Jurassic Jungles. The Stool has a sturdy ash wood frame, screw in birch wood legs, faux leather with memory foam padding, a perfect extra seating for your living room. 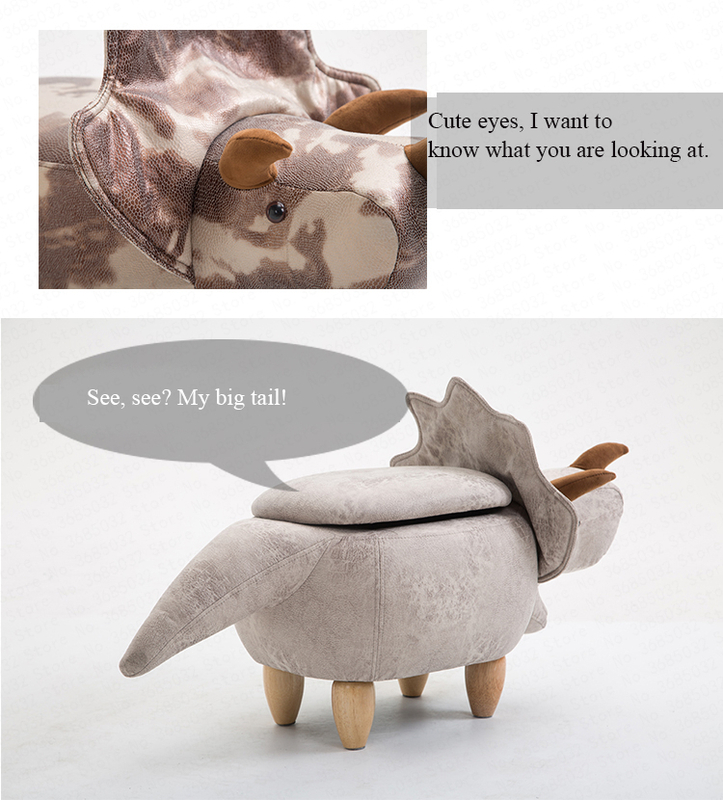 Size: Storage space measures: 7.8 x 7.8 x 7.8 while the stool measures: Length 102cm x Width35cm x Height 37cm in Size. 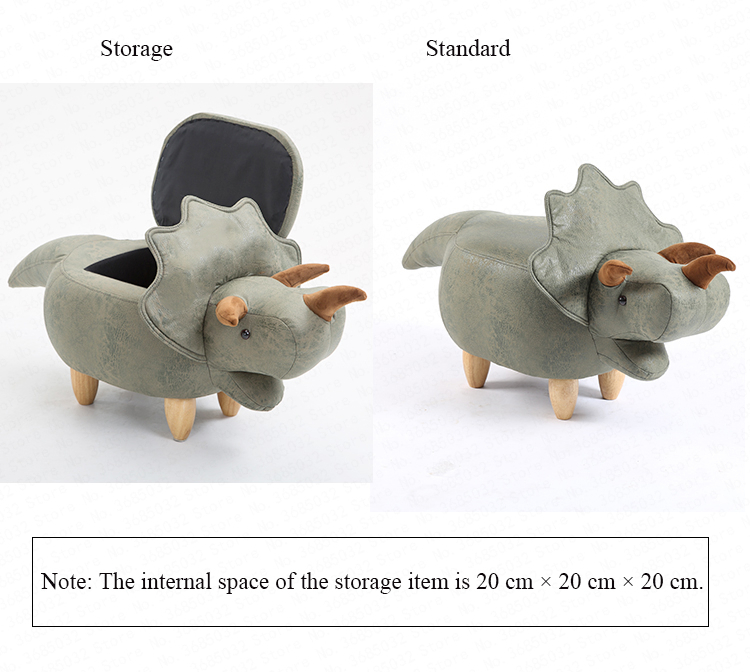 Just the right size to be displayed anywhere in your home or office without taking up too much space, nor is it too little where the cool details become hard to see. 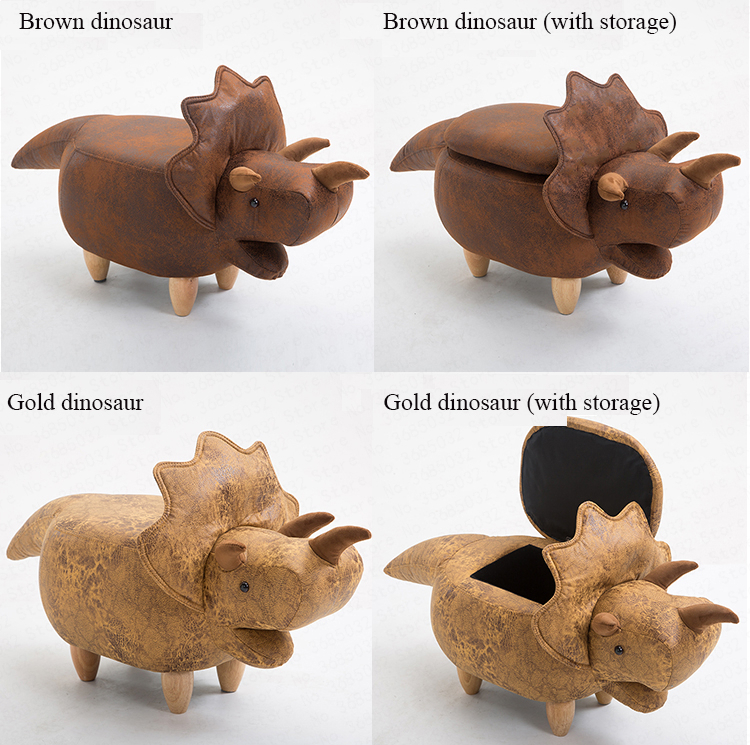 Colors: 4 different colors with each design carved, textured, detailed, and made with high quality material to match your decor. 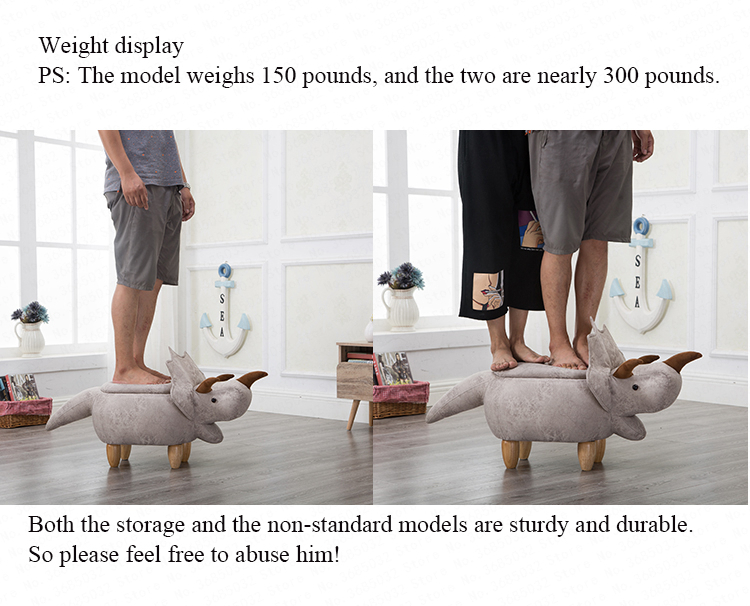 Weight: Supports up to 330 lbs.